Cancer Research UK said being obese or overweight is linked to 13 different types of cancer, but only 15 per cent of people in the UK are aware of the connection. A pilot ad campaign in the West Midlands highlighting the issue in 2016 increased awareness of the link by 22 percentage points, the charity stated. A spokesperson for Cancer Research UK told PRWeek there would be no change to the charity’s plan to campaign around the link between obesity and cancer. 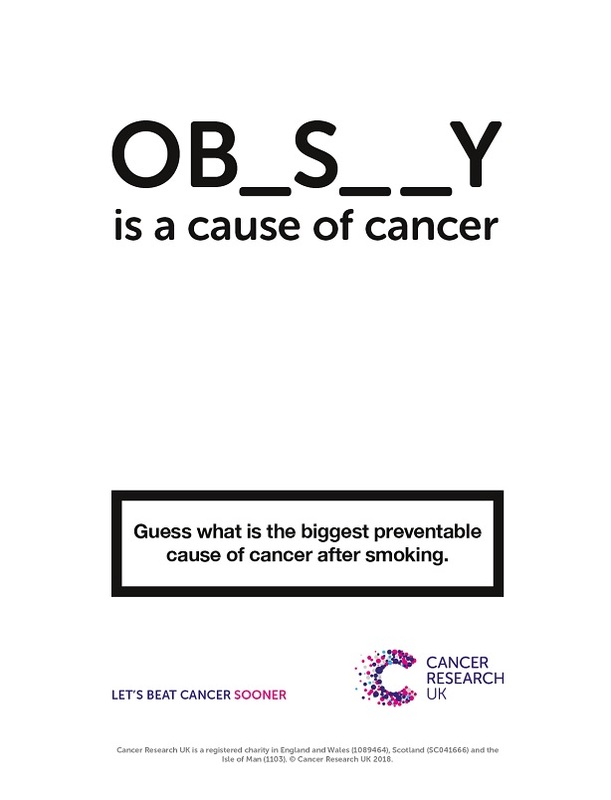 In a statement provided by the charity, professor Linda Bauld, Cancer Research UK’s prevention expert, said: "The aim of the charity’s campaign is to raise awareness of the fact that obesity is the biggest preventable cause of cancer after smoking. "This is not about fat shaming. It is based on scientific evidence and designed to give important information to the public. Only 15 per cent of people are aware that obesity is a cause of cancer. Cancer Research UK has a duty to put that message in the public domain."